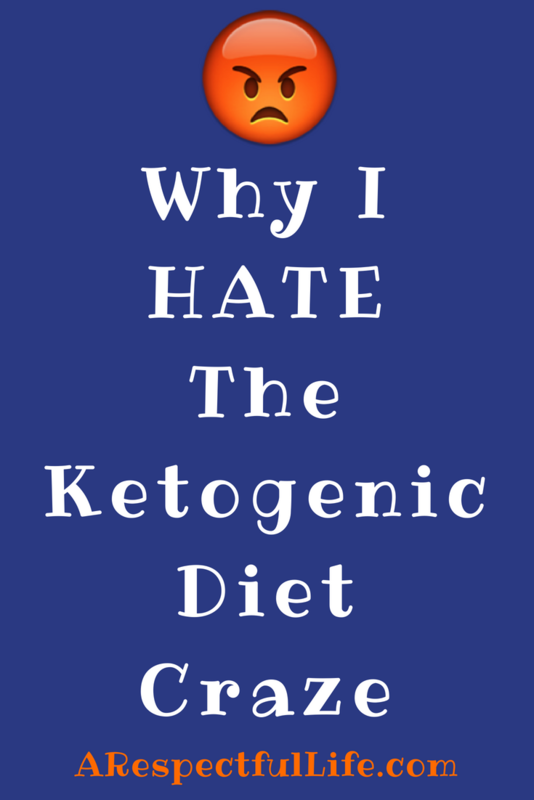 The Ketogenic Diet or Keto Diet craze (also referred to as a low carb high fat diet / LCHF and sometimes the Paleo diet) drives me nuts. I know the science on this very well, and have personal experience with a LCHF diet, but you cannot convince the keto crazed people otherwise. It’s like a cult! I think the reason people like the idea of the Keto Diet is because they don’t have to address their bad eating habits, it seems like an easy fix for quick weight loss, and I believe we are genetically predisposed to go after and crave easy calories from fat. However, life has changed on planet earth, and we have plenty of science to back up the proper way of eating and how to get proper nutrition which I will discuss herein. The longest lived people on this earth that have little obesity, heart disease, or other chronic diseases like Type 2 Diabetes are in areas called “The Blue Zones”. The Blue Zone areas of the world eat a primarily plant-based, high carb diet that includes whole grains. I have an extensive article the Blue Zones called ‘Lessons From Centenarians‘. I have listed the Blue Zones longevity food in my article ‘Top 12 Longevity Foods‘. Epidemiology is the study and analysis of the health and disease conditions in defined populations using statistical analysis to draw appropriate conclusions about diet and their effects on health. These studies are considered correlation studies. The China Study via a partnership between Cornell University, Oxford University, and the Chinese Academy of Preventative Medicine, with data collected over a span of 20 years including 6,500 adults. The Nurses Health Study with 121,700 participants, and Nurses Health study II with 116,430 participants both had a tremendous pooling of data from Harvard Medical School, Harvard T.H. Chan School of Public Health, and Brigham Women’s Hospital. The Adventist Health Studies involving 24,000 and then another 34,000 participants over 40 years with an additional study of 96,000 participants that is currently ongoing. The Busselton (Australia) Health Study is one of the longest-running epidemiological studies in the world. Since 1966, over 16,000 residents of Busselton have participated in surveys concerning such health topics on cardiovascular disease, pulmonary function, diabetes, and allergies. This has resulted in over 300 publications in the medical journals. One of the things I get a kick out of from the LCHF zealots is the fact that they make statements like “correlation does not imply causation”. In other words, studies like these even though we are talking about hundreds of thousands of people over many decades, don’t prove that certain patterns in diet cause anything. It seems that there will always be any justification for bad habits. Most epidemiology studies end up producing additional types of studies including the rigorous randomized control trials. Evidence that plant protein is assoc. w/improvements in body composition & reductions in weight & insulin resistance. 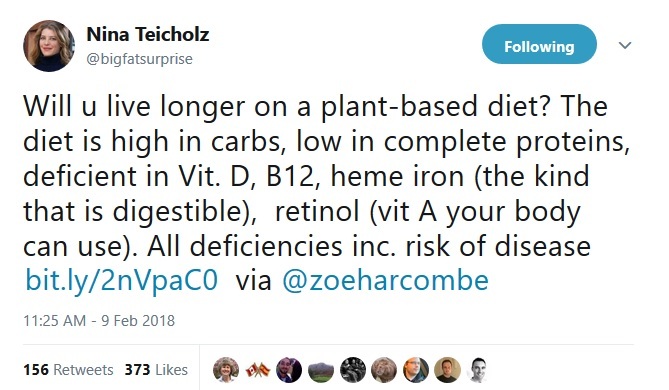 In addition to the science that shows the massive benefits of a plant-based diet, there is an equal amount of studies that show the health riskes and lack of benefits of a low carb high fat diet. But the keto cult chooses to ignore them. Noto et al. This meta-analysis of 272,216 subjects studied for diet and mortality reported that the risk of “all-cause” mortality in those responding that they followed a low-carbohydrate diet was approximately 30% higher than other subjects. Sjogren et al. In an analysis of over 900 elderly Swedish men, a Mediterranean diet pattern reduced mortality while a carbohydrate restricted diet was associated with a 20–40% increase in all-cause and cardiovascular mortality respectively. Fung et al. In an analysis of nearly 130,000 subjects followed by the Harvard School of Public Health, subjects following an animal food based low carbohydrate diet had increase in all-cause, cardiovascular and cancer mortality while there was a reduction in mortality in those following a plant based similar diet pattern. Snell-Bergeon et al. In a series of type 1 diabetics, a higher protein and fat diet was associated with more heart artery calcification, a marker of atherosclerosis, while a higher carbohydrate based diet was associated with a lower burden of artery calcification. Trichopolou et al. In a Greek population of nearly 23,000 subjects, those following a low-carbohydrate and higher protein diet had higher all-cause, cardiovascular and cancer mortality. Analysis of 129,716 participants in two cohort studies concluded that: A low-carbohydrate diet based on animal sources was associated with higher all-cause mortality in both men and women, whereas a vegetable-based low-carbohydrate diet was associated with lower all-cause and cardiovascular disease mortality rates. 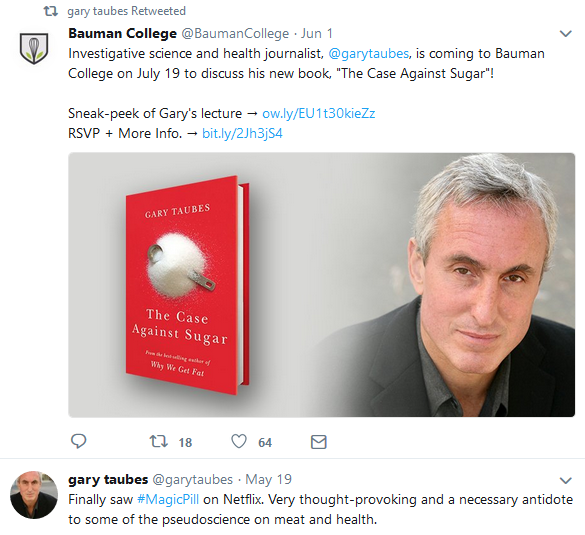 One of the main purveyors of a LCHF Keto fad diet is Gary Taubes. Mr. Taubes contends that sugar and refined carbohydrates caused obesity. Via his Nutrition Science Initiative (NuSI) he set out to prove his carbohydrate insulin hypothesis. He spent tens of MILLIONS of dollars of donors money trying to prove his hypothesis only to have it completely debunked by the very scientists that he hired (from the National Institute of Health) to conduct the study. One of those scientists is Dr. Kevin Hall. The first 8 week control trial showed that an isocaloric Ketogenic Diet was not accompanied by increased body fat loss! Imagine that! 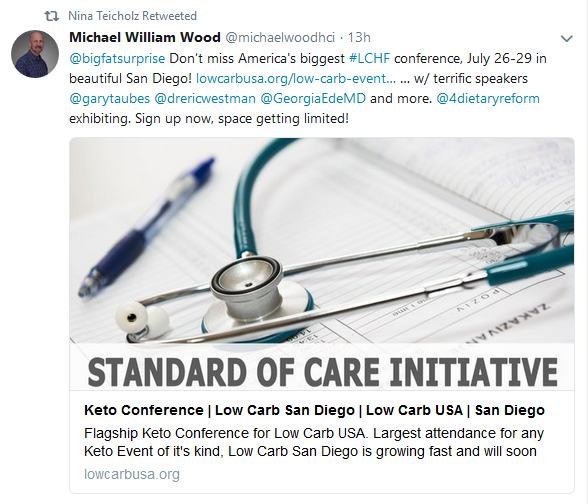 Despite the fact that their own scientific studies / experiments did not turn out how they wanted, Taubes, Teicholz, and the rest of the Keto Diet Zealots continue to push the LCHF agenda. They continue to speak at meat and dairy industry events, conferences, and colleges and earn handsome speaking fees. They are also now touting the Netflix film called ‘The Magic Pill’ – which, in my opinion is a very dangerous film that will further confuse people’s thoughts on proper nutrition and weight loss. I’d encourage you to review this YouTube video wherein the film is thoroughly debunked. The scariest thing of all, is that they continue to push for reform in nutrition guidelines at the USDA thorough the ‘Nutrition Coalition’. The Nutrition Coalition is a nonprofit membership organization dedicated to ‘ensuring that national nutrition policy is based on rigorous science’. That is pretty laughable considering that their scientific theories failed, yet they continue pushing the LCHF agenda. Recently the USDA invited for public comment regarding the 2020-2025 set of nutritional guidelines for Americans. The Nutrition Coalition, Nina Teicholz, Gary Taubes, The National Dairy Council, and others in the Keto Crowd rounded up thousands of people to comment on the guidelines in order to get the USDA to increase their recommendations on Saturated Fat. A recommendation to the USDA to ease up on saturated fat requirements is a blatant disregard for rigorous science, which they claim isn’t there. I will get to that in a minute, but back to diet and recommendations on proper diet. Are You Still A Keto Zealot? Keep Reading….. I hope that you understand that ketosis is a state of starvation. It burns fat and has a vast array of health benefits. However, you can achieve fat burn without doing a ‘Keto Diet’. One can burn fat easily with a caloric deficit regardless of the methodology. Yet I’m not sure why someone would want to achieve ketosis regularly when other, more healthy options are available. The other way to potentially do a vegan (or even non-vegan) ketogenic style diet is a fasting mimic diet (FMD). Professor Valter Longo has done some fascinating research on how to fast without completely fasting in order to go into starvation mode (that is essentially what ketosis is) which can regenerate cells. The FMD is basically a 5 day fast. Day one at 1100 calories and days 2-5 at 800 calories. If you are obese or have health issues, it is recommended by Prof. Longo that you do a 5 day fast like this once per month for 3 months in order to reset your body. This is a topic for another day. Proponents of a low carb high fat diet like to blame sugar, refined carbs, and just carbs in general (even plant carbs) on the obesity epidemic. I have even seen some blame it on ‘nutritional guidelines’ (what a joke considering that each of us make our choices based on learned behavior, availability, and partially on marketing propaganda). Some vegans like to blame it on merely too much animal fat. This extremely balanced BMJ (formerly British Medical Journal) Commissioned paper was just published 13 June 2018, and was written by unbiased authors from 3 Continents. The authors make it clear about diet and the role of CALORIES in obesity. In short, it’s not one food that is the culprit for obesity. Without going into great detail about this paper, Dr. Katz believes we should cut the refined food and eat mostly unrefined whole plant foods, and not a diet heavy in refined carbohydrates, or high in saturated fats, or high in animal proteins. In my 20’s, I worked in the restaurant industry and was married to a woman that loved to bake. My weight would fluctuate up and down. In my 30’s I had a very good paying job but was always on the run, and could eat wherever I wanted. I admit that I indulged but noticed an increasing waist line and was having a difficult time keeping the excess weight off. A couple of people had mentioned the book ‘Protein Power – The High-Protein/Low-Carbohydrate Way to Lose Weight, Feel Fit, and Boost Your Health–in Just Weeks!’ by Michael R. Eades and Mary Dan Eades. I knew nothing about nutrition so I followed their advice and did loose weight quickly. Any time I needed to drop a few pounds, I would do a LCHF for a few weeks or months and take it off, but I would constantly yo-yo’d up and down in weight, and as soon as I ate a carb (refined carbohydrate mind you), the weight would go back on. Normally I was 20-40 lbs. Over weight. When my 40’s hit, I owned a BBQ restaurant. I’m guessing my metabolism also slowed a bit, but I always had in the back of my mind…… more meat/protein, less starch. Over the course of 6 years eating a meat heavy diet, I gained around 23 pounds per year until I weighed a whopping 348 lbs. And that was eating not many refined carbs, a salad – with meat- almost daily, a meat dish and veg in the evening, and usually a few heavy beers or some wine (that has a lot to do with my weight gain, but also a lot of saturated fat). And then I got sick! Very sick. I will spare you the details here, but I will tell you that over the course of 16 months, I lost 153 lbs and reversed a bunch of health conditions on a low fat whole food plant-based diet (read HIGH CARB low fat diet!). You can read more about that in my article ‘Easy Weight Loss On A Plant Based Diet‘. Part of the reason I got sick is because I had the low carb high fat mentality, and ate a LOT of meat. My mission now is to help other people to get healthy, and also to spare you from that hell I went through to get back my health! So please, take my advice and throw out the low carb high fat thinking. It won’t make you healthy in the long run. One may lose weight on a ketogenic diet. This may in the short term bring some good health benefits. As I have pointed out very clearly in this article, it is not the only way to lose weight. The risks of a ketogenic diet should be weighed against the long term health affects. Several large meta-analyses of prospective observational epidemiologic studies with data from 1,194,767 participants in the studies. Evidence from Mendelian randomization studies involving more than 300,00 participants. Considered together, the strong and consistent evidence from the genetic studies, prospective epidemiologic cohort studies, Mendelian randomization studies, and randomized intervention trials discussed here, supported by mechanistic evidence to be presented in the second Consensus Statement on LDL causality, establishes that LDL is not merely a biomarker of increased risk but a causal factor in the pathophysiology of ASCVD. Cumulative LDL arterial burden is a central determinant for the initiation and progression of atherosclerotic cardiovascular disease. The lower the LDL cholesterol (LDL-C) level attained by agents that primarily target LDL receptors, the greater the clinical benefit accrued. 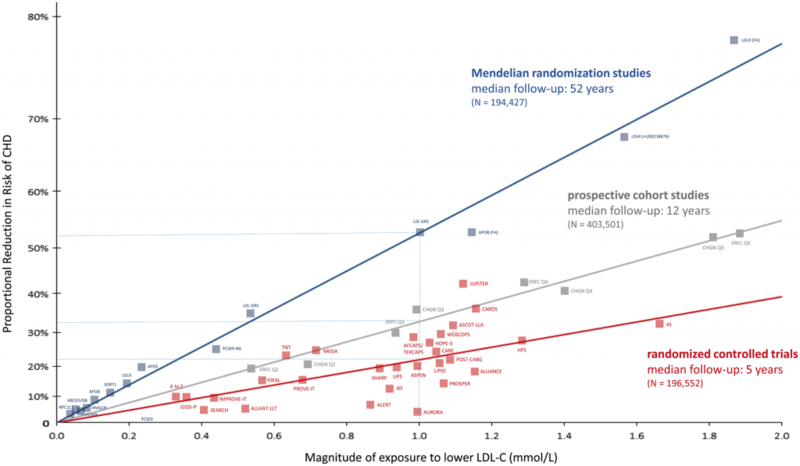 Both proportional (relative) risk reduction and absolute risk reduction relate to the magnitude of LDL-C reduction. Lowering LDL-C in individuals at high cardiovascular risk earlier rather than later appears advisable, especially in those with familial hypercholesterolaemia. Replacement of saturated with unsaturated fats lowers low-density lipoprotein cholesterol, a cause of atherosclerosis, linking biological evidence with incidence of CVD in populations and in clinical trials. IN OTHER WORDS: High Cholesterol from diet causes cardiovascular disease!! In addition to cholesterol, eating a high protein diet will cause a microbial imbalance in your gut leaving you susceptible to all sorts of possible health conditions including Irritable Bowl Syndrome, and Autoimmune Disease. More about that in my article ‘Molecular Mimicry, How Eating Animal Products Causes Autoimmune Disease‘. According to the World Health Organization, processed meat and red meat cause cancer! I have written about that here: Processed Meat and Red Meat Are Carcinogenic. Also mentioned above. Cow dairy (including milk, cheese, yogurt, etc.) 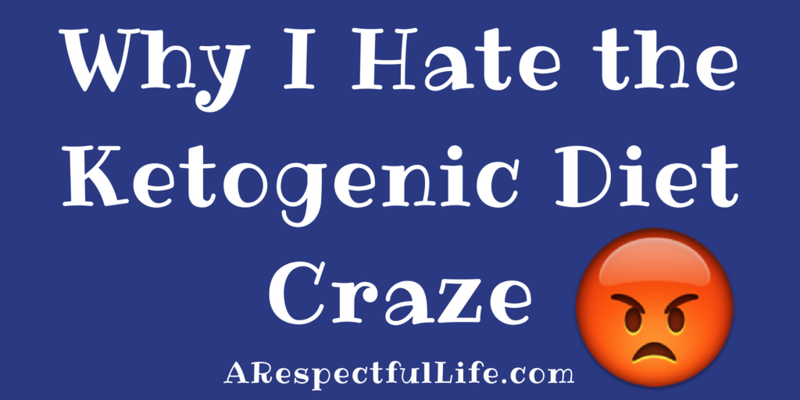 is another problem for ketogenic or low carb high fat diets. It contains a hormone called IGF-1 that exasperates inflammation, a cancer promoting protein called casein, casomorpins which stimulates the same receptor in the brain as heroin and causes mood disorders and has an addictive quality, and the bovine serum albumin protein has been implicated as the cause for Type 1 Diabetes. Cow’s milk is for baby cows and has no place in human health. There is a reason that much of the world – some 70%, are lactose intolerant. I have written more about this in my post ‘Giving Up Cheese & Going Vegan‘. Beyond cholesterol, cancer, and #DairyIsScary, the other major risk factor in a high protein animal flesh diet is called Endothelial Dysfunction. Basically, the paper thin cells in our arteries and heart become damaged from too much saturated fat and not enough nitric oxide (fruits and vegetables). You can read more about this in my article titled ‘Endothelial Dysfunction Simplified‘. Kidney stones (ketosis will raise your uric acid levels, lower your citric acid levels, and increase your oxalate levels which will cause kidney stones, especially when using animal proteins on a keto diet). The fact is, that eating a diet that is high in animal proteins has too many risk factors, especially in large quantities. We can be healthy and thrive on a plant-based or plant centered diet. Animal flesh contains a plethora of toxins and foreign proteins that the human body has little ability to process. Sometimes our immune system builds antibodies to fight those foreign proteins, in turn attacking our own cells in a process called molecular mimicry. 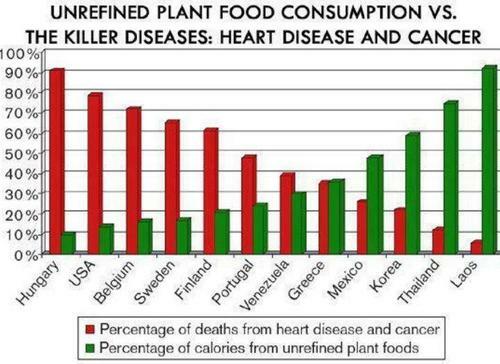 If you want good health and longevity, eat plants! Read: Testimonies from others that have lost a tremendous amount of weight on a plant-based diet: ‘Plants Heal Humans‘. If you have any questions about my content or this article, as always, please feel free to reach out to me directly via the contact page. There are a bunch of keto products advertised on this article! The ultimate irony. PS I changed my google ad settings to eliminate anything having to do with diet! That is a very good post. I don’t like when people state “there is a study for everything” as if you can just talk yourself the keto diet healthy and neglect the fact that children died on a keto diet…. Thank you Lisa. Many things neglected from the keto cult! Kids have died on vegan diets too, don’t cherry pick. And cherry picking? This article has the WHOLE of the scientific evidence on diet with over 1200 studies referenced! There was no cherry picking here. As far as children dying on a keto diet: THEY WERE MEDICALLY SUPERVISED! I’m annoyed that I have not seen this before. I plan to follow this site carefully. I’ve had T1 diabetes for 47 years and know intuitively what dangerous balderdash the Keto fad is. But my intuition and 5 dollars will only get me a cup of coffee at Starbucks. So your citations are much appreciated. I feel the same way. Way down deep I could not accept Keto beliefs that all that fat can be good for you. I’d like to replace all the Keto and LCHF sites that pop up with this site and all that’s included. I’m am much more comfortable with this than KETO. Eating fat is counter intuitive for sure! Whole Food Plant Based, no oil is the way to go! I agree with you completely Mr. Dubrovsky. Thank you for your comment. sooo…how do you explain the significant weight loss i’ve experienced while leveraging my Keto diet; marked improvement in overall energy, cognition, mental acuity, emotional health, lucidity…..and this list goes on and on for me. There are plenty of RCT studies providing a preponderance of evidence pointing to the therapeutic value of a KG diet. Particularly when it comes to improving cardiovascular risk factors. I don’t deny that a WFPB diet works and feels amazing….but I know, from first hand experience, that a Ketogenic diet done properly does too! I feel absolutely amazing! But…you show me your study and ill show you mine! Additionally, the APAC argument for a plant-based diet isn’t completely relevant here in the US…i think there are far more variables and mitigating cultural factors involved, outside of dietary practices, affecting the variance in observed health indicators between western and eastern cultures than what’s discussed in this op/ed. Just my opinion. 1400 patients over 12 month studies…. they did NOT include studies that went to 24 months. The outcome when using longer term data is that there is VERY LITTLE DIFFERENCE in weight loss at 24 months and almost all data shows that low fat diets beat out low carb diets in longer term studies. In addition – from the study that you point out that ALL participants in the keto diet had a significant raise in their cholesterol levels. I have pointed out VERY CLEARLY in my article of the very long term science on the atherosclerotic effects of a diet high in saturated fat. LDL matters. Keto and low carb a BAD idea for long term health. You are out of your mind and full of it. There have been NO studies of a keto diet of more than 1 year! Note as well – a ‘significant difference’ in weight loss? Less than 1kg! NOT significant. Shai I, Schwarzfuchs D, Henkin Y, et al. (2008) Weight loss with a low-carbohydrate, Mediterranean, or low-fat diet. Between 6 and 24 months the low-fat group dropped their fat consumption as a percent of energy consumption on average somewhere between 0.7% and 1.4% from 31.4% at the start to a minimum of 30.0%,but that’s not all, At 12 months the mean percent of energy from saturated fat actually went up, From 9.7% of calories to 9.8% of calories. So this is clearly not a move away from meat. But the real story of what’s going on with this study, and others like it, is found in the changes in dietary fiber Which is reported in grams per day. the low-fat group actually reduced their dietary fiber by 2.3 grams At 6 months and 4.7grams less at the end of two years, This means processed food, or what I call junk carbs. Chances are that you stopped eating a lot of CRAP (calorie rich and processed) foods, especially refined carbohydrates. That results in a reduced caloric intake, which in turn results in weight loss. From what I understand, ketones are directly metabolized in the cell (rather than required an insulin reaction to use the energy), which results in increased energy etc. The problem with this sort of diet lies in the fact that (especially) animal fat/protein directly cause or at least significantly increase your risk of heart disease, type 2 diabetes, and certain cancers. Not to mention the fact that it causes enormous pain and suffering to animals as well as serious environmental problems. Whole food plant based is the healthiest way to go – for humans and our habitat. Thank you for your input Conny. Well written article!! I tried the Keto diet for one day, and that was enough for me to decide that it was not a good fit. After installing an app to monitor my carb-fat-protein intake, my fat intake was well below what the Keto app recommended. I could not see myself consuming that much fat or meat going forward. As a nurse, I am well aware of evidence based practice research, which I have yet to find in regards to the Keto diet and its long term benefits. I am happy that you were able to provide numerous research studies to educate the public (including myself). People Im sure are elated in knowing that they can consume fats with weight loss benefits, however how will this measure up in the long run?! Not good Im sure, as cholesterol and cancer would be one of my main concerns on a Keto diet. Its easy to follow a quick fix, and as we can see, this diet has spread like wild fire. The long term effects of having a “balance” in eating, life, stress & life are way more beneficial and sustainable in the long run. I am sure in due time this diet craze will be dismissed. I thank you for this article, and it just confirmed my thoughts and beliefs about following a Keto diet. Knowledge is power!! Thank you for your feedback Felicia. You are correct that there are no long term studies of the keto diet. There is plenty of evidence and studies that a diet rich in whole grains, fruits, and veggies creates longevity and good health. “I think the reason people like the idea of the Keto Diet is because they don’t have to address their bad eating habits, it seems like an easy fix for quick weight loss (…)” – So true! My, I didn’t realize salmon and broccoli for dinner could be so dangerous. Can I ask your input on the benefits / drawbacks of olive oil and coconut oil please? Gram-for-gram, oil has the same number of calories as beef fat. Coconut oil is 90% saturated fat, and lard is 40%. One tablespoon of oil has 120 calories and 14 grams of fat. A 130 lb woman would have to jog approximately 1.2 miles to burn off 1 tablespoon of oil. Within hours of ingesting oil—olive oil, corn oil, palm oil, etc.—arteries stiffen and their ability to dialate is impaired. Oil is purely fat (with all other nutrients stripped away) and contains more calories per gram than any other food. From a health perspective, oil consumption decreases endothelial function. This means that oil constricts the blood flow by 32% after a meal, injures the endothelial cells (the paper thin cells that line the interior walls of blood vessels), and triggers plaque build-up (atherosclerosis / cardio vascular disease). This is simply UNTRUE! I know thousands of vegans that thrive on a plant-based diet. Whole intact grains and beans are plenty satiating! No where in this article did it state to cut fat completely out of your diet. But please, show me ONE PIECE of science that shows that humans need saturated fat!??! We don’t! We do however need healthy fats, and those can be derived from nuts and seeds without saturated fat! 1 TBSP daily of ground flaxseed gives you all of the Omega 3’s that you need. What would be the problem of a high protein diet? Oh I don’t know, chronic kidney disease, too much saturated fat causing endothelial dysfunction, among other things. Why would you want to do a high protein diet? You know that ALL plants have protein right?